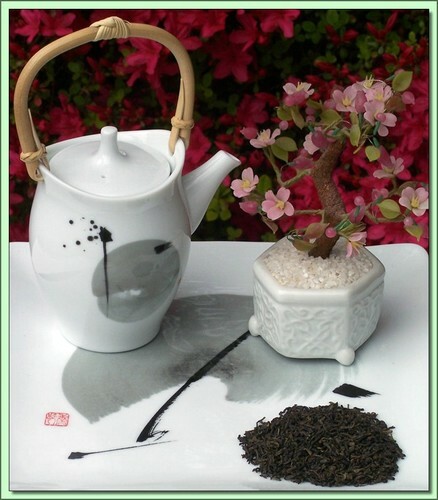 Character: A stunning decaffeinated jasmine tea with unbelievable character. The jasmine notes are perfumy and full floral. You can not believe you are drinking decaf! Based on a Japan style Sencha, and decaffeinated using an all natural, CO2 process, Decaf Jasmine Green delights with subtle grassy notes offset by lush, compelling jasmine. Here‟s to a great legend. The exceptional leaf is decaffeinated using a patented Chemical Free CO2 process. During the process, naturally occurring CO2 is circulated under high pressure to extract caffeine. Not only is this process completely chemical free and kind to the environment, it leaves none of the chemical flavor residue associated with chemically decaffeinated teas. The light, fresh taste that is the result makes this tea a natural for blending with dried fruits and herbs, and it retains 95% of its polyphenol potency.